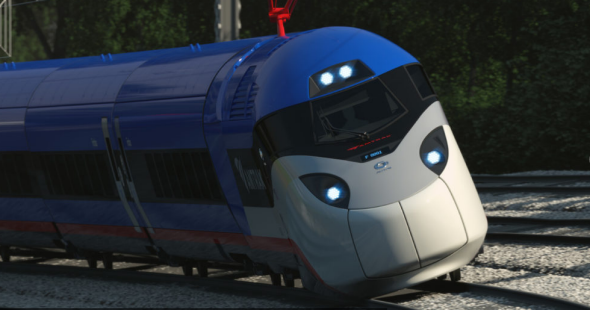 Amtrak’s Avelia Liberty is going to be better than the Acela in every way. Is that a problem? Are Amtrak’s New High-Speed Trains Too Good for Amtrak? It’s the train of a future Amtrak, and not just because the glassy Penn Station it arrives to is a distant dream. The train is also built to run at speeds that Amtrak’s current Northeast Corridor infrastructure can’t yet accommodate at any point. It’s an ambitious purchase, and one that will only pay off if Amtrak can commit to serious track improvements during the trains’ 30-year lifespan. The Avelia Liberty has a top speed greater than 185 miles per hour, though Amtrak’s Northeast Corridor has a max speed of 160 mph, and trains only reach that speed for very short periods. The train can be upgraded to reach 220 mph, which is faster than the French TGV trains—and totally incompatible with the Northeast Corridor’s current track. It’s like buying a pair of fancy French pants you’d like to fit into at some point in the next two decades. The Avelia has other cool features, though, that will benefit Amtrak right away: It can tilt up to seven degrees on curves, compared with four degrees for the current Acelas. According to Alstom, this permits the train to take curves 30 percent faster, and Amtrak says that will shorten trip times as soon as the trains hit revenue service in five years. It will have reclining leather seats, outlets, USB ports, and reading lamps. Even without track improvements, the new trains will enable Amtrak to run high-speed trains between New York and Washington every half-hour, and every hour between New York and Boston. Still: At $2 billion for 28 trains, the Avelia is among the most expensive train set purchases in history. The transportation blogger Alon Levy observes that the trains will cost almost twice as much, per car, as some comparable models in Europe and Asia. The new Eurostar trains, for example, made by Siemens in 2011, cost about $5 million a car. Amtrak’s Avelia will be closer to $9 million per car. Why so much? Part of the answer is that the trains will combine high speed and high tilt in a way that few other trains do. As Levy writes, those two features might not work together very often: If Amtrak straightens the track to allow for high speeds—and long sections of straight track are the only way to take advantage of a train that pushes 200 mph—it will have fewer situations to deploy seven-degree tilt. As Levy succinctly puts it, with low infrastructure investment, high-speed is useless. With high investment, tilt is obsolete. Over the course of 30 years, though, both may come in handy. The FRA is revising those requirements now—after all, European high-speed trains also run with commuter rail around terminals—and the Avelia Liberty will weigh about 30 percent less than the Acela. Still, the train won’t be as sleekly designed as its sisters in Europe, China, and Japan. That, along with compliance with the Americans With Disabilities Act, may be one reason that a 200-meter Avelia Liberty will carry fewer passengers than other Alstom models, like the Pendolino or the AGV. Another factor: The trains come with a maintenance agreement that trades a higher purchase price for lower maintenance costs down the road. (The Acela has been plagued by maintenance issues.) As the rail blogger Paul Druce points out, the Avelia Liberty trains are only about 10 percent more expensive than the Pendolino trains that Italy bought from Alstom last fall. America’s trains will also go faster than the Pendolinos, though they hold fewer people. Our trains have a 15-year service agreement; theirs have a 20-year agreement. Amtrak, spokesman Craig Schulz said, when I asked about the trains’ cost, that it had hired two engineering firms to review the deal with Alstom. “Amtrak is paying well within the range of recent high-speed equipment sales,” he said. One clear winner here is Alstom, for whom, Le Monde reports, the train could serve as a launching pad for selling its services to other American states, including California, whose own high-speed rail project is underway. 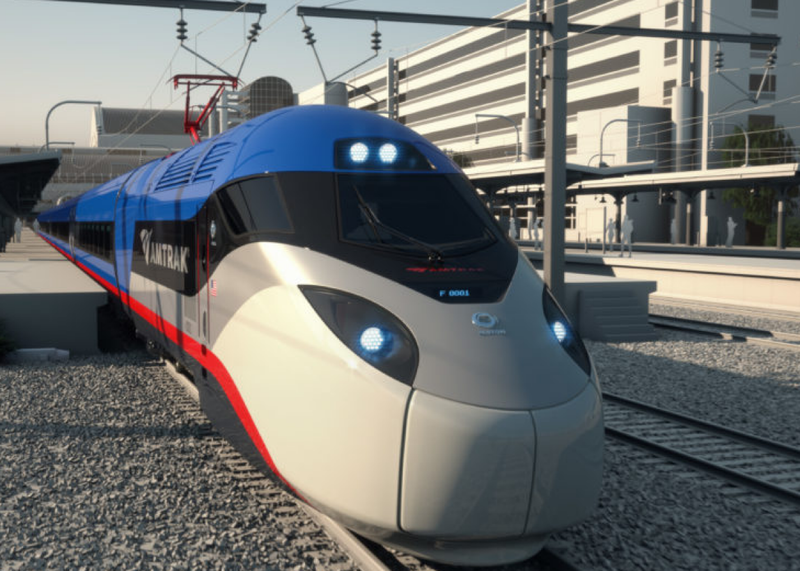 Some railfans have speculated that the Avelia Liberty might be designed to meet the specifications for both the NEC and California high-speed rail, whose tracks will be straighter than their Northeast equivalents.